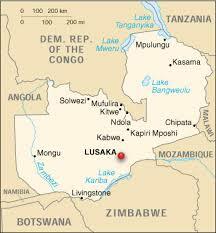 Today, I will be talking about Lusaka, the capital of Zambia and its largest city. The actual location of the city of Lusaka corresponds to that of a village which was named after its chief Lusaaka, and which was located at Manda Hill, near the current site of the Zambian National Assembly building. In the Nyanja language, Manda means graveyard. The area was expanded by British settlers in 1905 with the building a the railway. Due to its central location and its position on the railway at the crossroads between the Great North Road and Great East Road, Lusaka is chosen to replace Livingstone as the capital of the British colony of Northern Rhodesia (Southern Rhodesia being today’s Zimbabwe) in 1935. 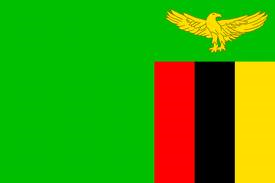 With the fusion of the Northern Rhodesia (Zambia) with Southern Rhodesia (Zimbabwe) and Nyasaland (Malawi) in 1953, Lusaka became the center of independentist movements amongst the educated elite, which eventually led to the creation of the Republic of Zambia. In 1964, Lusaka became the capital of the newly independent country Zambia, with the country’s first president being Kenneth Kaunda. Lusaka is not only the capital of the country, but also the capital of the province of Lusaka, which is the smallest and the second most populated of the nine provinces of Zambia. 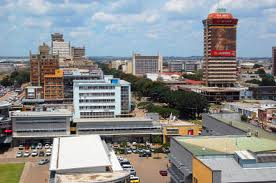 Today, Lusaka is one of the fastest-developing cities in Southern Africa. It is the centre of both commerce and government in Zambia and connects to the country’s four main highways heading north, south, east and west, including the famous Cairo Road which is a section of the Great North Road and was so named because it is a link in Cecil Rhodes‘ then dream of a Cape to Cairo Road through British colonies in Africa. The city is also located at an altitude of 1300 m above sea level. English is the official language of the city, but Nyanja, and Bemba are commonly used as well. In recent years, Lusaka has become a popular urban settlement for Zambians and tourists alike. Check out the map of city of Lusaka, or the newspaper Lusaka Times to get more news about this great city whose name hails from that of a local king. Enjoy the video below about the city of Lusaka.